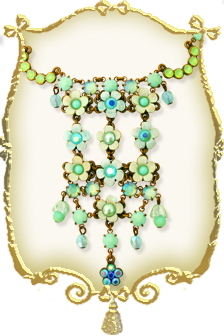 Description: A pretty ensemble of floral patterns, this necklace is a beautiful piece of artwork. Flowers crafted for this creation have a variety of center stones which forms an interesting mix, including a unique two-toned center stone. The mini arches at the neckline are fitted with small round stones in opaque texture. 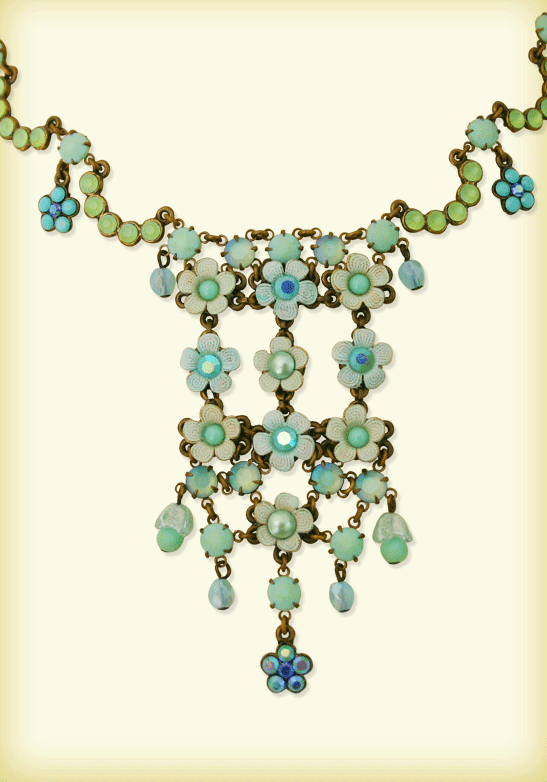 Bells comprised of beads adorn either side of the necklace at the bottom. 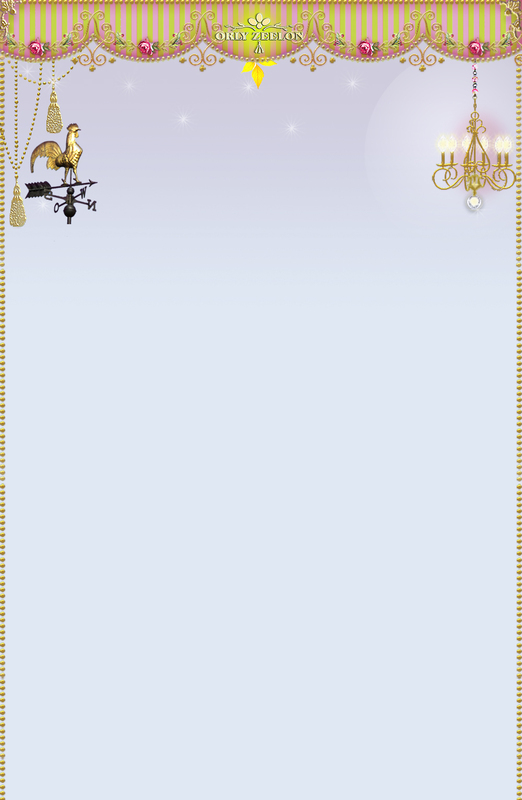 The whole necklace sits on a base of metal clasps. The necklace sits beautifully on the neckline and drops in a graceful gesture to the lower neck.